We are excited to announce Atlanta Track Club has added the Publix Georgia Marathon & Half Marathon to its more than 30 events and programs! In its 10th year, the event has become a tradition in the Southeast, and we are excited to build upon its strong heritage as a world-class event. 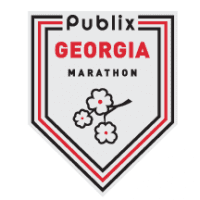 Looking for the 2017 Publix Georgia Marathon and Half Marathon? Click here for details. The Publix Georgia Marathon Health & Fitness Expo is the bib number pick-up location for race participants. The Expo features official Mizuno race merchandise, sports nutrition products, running apparel, shoes, accessories, and health and fitness services. Located in the Georgia World Congress Center, the Expo is free and open to the public. Don't have a race number? On-site registration for the marathon and half marathon will be available at the Expo. All participants must pick up their race packets at the Expo unless they purchased Will Call during registration. Friday, March 18, 2016: 11 a.m. to 7 p.m.
Saturday, March 19, 2016: 10 a.m. to 7 p.m.
Pre-Purchased Parking: Click HERE. Select Georgia World Congress Center, followed by the Publix Georgia Marathon Expo option and then choose the appropriate day and parking lot. MARTA is an excellent option for getting to the expo. We highly recommend using the Vine City Station, instead of Dome-GWCC-Philips Arena-CNN Station. Accessed from all blue and green lines, Vine City Station is a short walk (0.4 miles) to Hall C1 at the GWCC. Visit www.itsmarta.com for more information on station locations and schedules. View the expo floorplan and exhibitor list HERE. The Publix Georgia Marathon Health & Fitness Expo promises to provide the best opportunity to promote and market your company’s products and services in the greater Atlanta area. 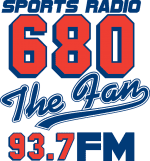 The Expo is held in conjunction with the Publix Georgia Marathon and Half Marathon. More than 15,000 runners, walkers, friends and family are coming to this two-day Expo to see, sample and shop for your products. Whether you’re selling shoes, vitamins, vacations, orthopedics or all things health and fitness related, this audience is here to shop for new merchandise and last-minute buys before they run their race. Interested in participating in this year's Publix Georgia Marathon Health & Fitness Expo? Please visit our vendor page for more information. Race day registration is not offered for this event. Onsite registration will be available during packet pick-up dates/times at the Health and Fitness Expo held prior to event day. Pre-race packet pick-up dates and times are listed above under Health and Fitness Expo. Pick-up will take place from 5:30 a.m. - 6:45 a.m. race morning. *Will Call participants will receive an email verifying their status and instructions for race day pick up. If you would like to switch races, you may do so in person at the Health & Fitness Expo held prior to event day. There will be no refunds for switching from the full marathon to the half marathon, and additional fees will apply for those switching from the half marathon to the marathon. For those switching races at the expo, shirts will be provided based on availability. Those switching events on race morning will be disqualified and removed from the results. We encourage all participants to take MARTA on race morning to avoid traffic delays due to race related street closures. CLICK HERE for more information on taking MARTA to the event. MARTA will begin rail service one hour earlier than usual on Sunday morning (5:00 a.m.) in order to get runners and spectators to the start line at Centennial Olympic Park. Park at any of the 23 MARTA rail stations that have free daily parking. Atlanta Track Club has partnered with Parking Panda, the nationwide leader in online parking reservations, to allow visitors to purchase guaranteed parking near Georgia World Congress Center for the Health & Fitness Expo and Centennial Olympic Park for the Marathon. View real-time availability and pricing at several nearby garages and lots. Gear check is located with Centennial Olympic Park in the northwest corner. Access to gear check is off Baker Street or Centennial Olympic Park Dr. Gear check will be available on race day starting at 5:30 a.m. All gear should be dropped off at the gear check tent prior to race start and will be available for pick-up until 2:00 p.m. Please use the gear check tag on your bib to help identify your bag. Additional gear bags will be available at number pick-up and at the gear check tent on race morning. Participants can sign up for a Pace Team at the Health & Fitness Expo. You can find a list of 2016 Eligible Streakers here. If you are a streaker and do not see your name on the list, please contact [email protected]. Let us help you train for a longer distance! Accomplish new goals this spring with Atlanta Track Club’s Spring Half Marathon Training. The 16 week program includes weekly pace group runs, mid-week workouts, monthly clinics, and more. The flexible program can be tailored to your target race and current fitness level. Whether you’re training for your first full or half marathon or your 50th, don’t go at it alone. For more information on Training, click here. National Travel Systems had partnered with several downtown Atlanta hotels to offer hotel reservations available 3/16/2016 (check-in) to 3/22/2016 (check-out). To see available hotels and pricing, please CLICK HERE. Interested in giving back to the sport of running? Come volunteer with us! Volunteer registration is NOW OPEN!